Perhaps your wholesalers and regular customers have browsed enough through your catalog already. They know your products and all they need is to order them quickly. Exclude extra unwanted catalog browsing for them with Quick Buy extension. Quick Buy module provides ability to search fast (AJAX) for the products using either titles, or SKU, or category, or description. Found products are added to Selected Products list on-the fly. Customers select the products they need and repeat the search. All works on one page, without reloading. Once the list has been formed it is manageable quickly - customers select the mandatory custom options directly inside it, set the quantities - which changes the price in real time - and all the whole list together to the shopping cart. 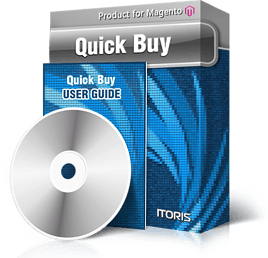 Literally in minutes your regular customers will form a new order - provide this ability and save their time with Quick Buy Magento module.